Projects backed up, sink chock full of dishes and tardy again with another headache: enter the domino effect of procrastination. It makes us feel forgetful, guilty, rushed, anxious, tired and cranky. Looking last week at the negative aspects, let’s now look at how we can avoid or eliminate this infection of our productivity before it spreads.last week at the negative aspects, let’s now look at how we can avoid or eliminate this infection of our productivity before it spreads. Books, entire careers and industries focus on procrastination and how to prevent it. I’ll touch on a few strategies proven useful to me and my clients. 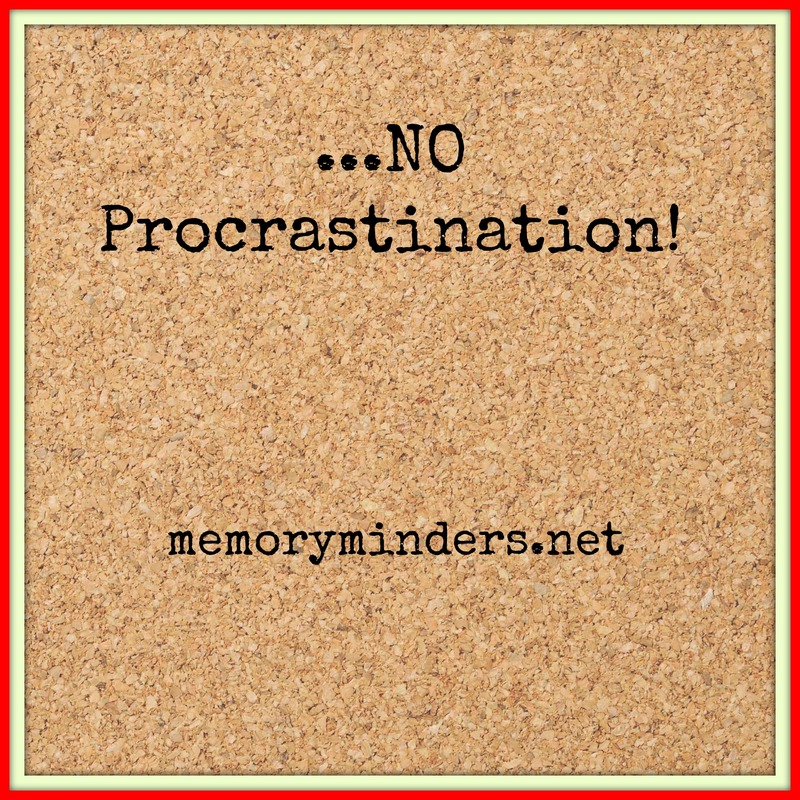 Keep these in mind and let’s finally kick procrastination to the curb! Get Motivated. We do things that motivate us. If a task, project or idea isn’t motivating, ask why. Is it too complex? Maybe you don’t like, agree with or feel it’s necessary. If so, can you legitimately defer, delegate or decline? If not, find a way to get motivated. Difficult projects should be tackled early in the day when your mind is sharpest. Break complex items into doable, small sections. Don’t like it? Find an enjoyable partner. Memory issues often can cause a lack of motivation-fight through and keep going! Eliminate Distractions. Procrastination is a villain of productivity and distraction is its evil twin! Today there are too many distractions stealing our time with only so many hours in the day. Getting sucked into emails, others’ conversations, social media and everyday interruptions squanders our productivity. We should stop to smell the roses of life, but it cannot be all we do. So ask, what distractions disrupt you the most? Minimize these to eliminate procrastination and focus on what’s important. Just Do it! Nothing can substitute. There are just things in life which must be accomplished. Use all these techniques to prepare. But at some point, there’s no getting around just getting it done. So let’s roll up our sleeves, put our best foot forward and just do the job! There’s no better feeling than completing a well thought out and well executed task, project or goal. We’ve warmed up our minds, now let’s stop procrastinating! Let’s start Spring leaping into the challenge of overall wellness. Watch for details next week on a fun, engaging opportunity to spring into wellness in your life! Until then, just do it! “Yes, I’ll get to it” I say and mentally place this new item into the ever growing to-do list in my head. I write things down and use all the memory techniques I teach others, yet still things get put off…until they absolutely HAVE to get done. Yes, procrastination has reared its ugly head again causing undue stress, inefficiency and disappointment. 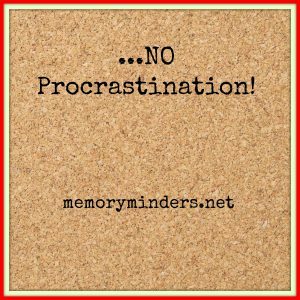 As we wind down our Mindful Winter Warm Up this week and next, let’s pause and discuss the pros and cons of procrastination. Wondering what the upside of procrastination is? You’re correct: there isn’t any! Sure, maybe some amazing, miraculous help will arrive just in the nick of time to save us from the huge project, overflowing laundry or messy closet. But the chances of that are slim so we might as well dive in and stop procrastinating! There are no pros and plenty of cons to procrastination in life. Defer, delay, restructure or whatever it’s called at the moment, it’s all still procrastination on some level. The cumulative effect of it can be detrimental. It causes forgetfulness, ineffectiveness and negative stress which can lead to physical disease manifestations. Procrastination just doesn’t impact us, but extends its slimy grip to those around us as well. Coworkers, family and friends all feel the effect of our deferring actions. They are often burdened with waiting for us, sacrificing their own time to help and/or dealing with the consequences of our delay tactics. If we allow it, procrastination can weave its destructive web into areas of our lives we may not have even thought of yet. It not only wreaks havoc in present productivity and well-being, but can lead to profound ramifications as we age. A recent study discussed how systemic inflammation seen in many neurodegenerative diseases may be occurring earlier in our brains than previously thought. 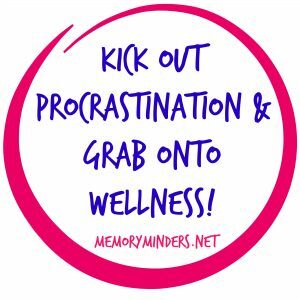 This means we cannot keep procrastinating about wellness, including our mind wellness. At the heart of procrastination is a lack of organization. 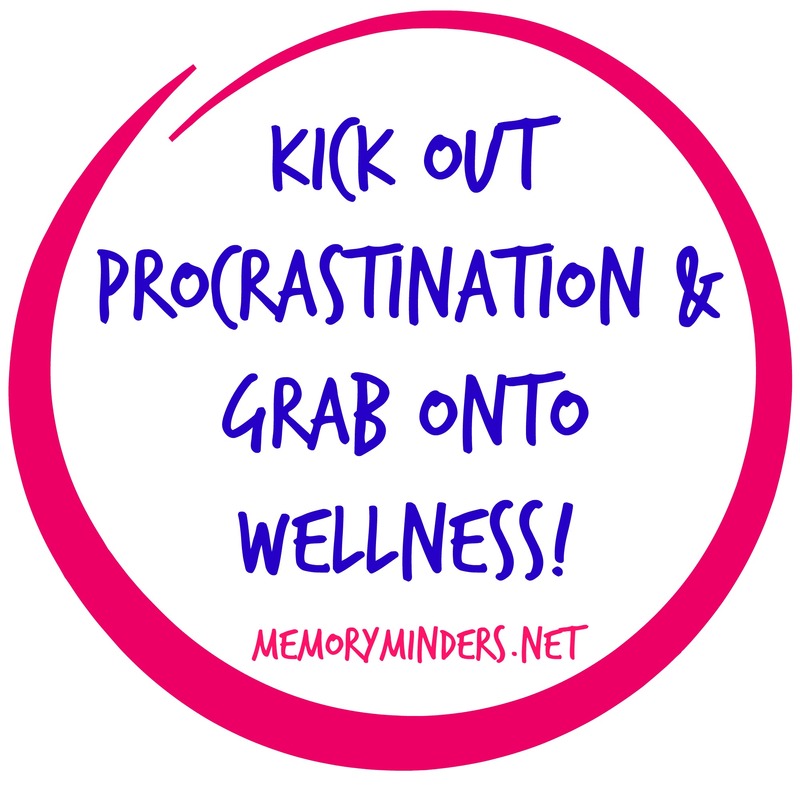 We’ll dive into this and other strategies to finally kick procrastination’s ugliness to the curb and grab onto wellness in our lives. Join me next Monday as we wrap up our Mindful Winter Warmup and prepare for fruitful Spring! March came roaring in like a lion last week literally and figuratively. While some of it was expected (snowstorms and deadlines), others weren’t (unforeseen urgent situations). Anticipated or not, they all added up to a stressful start to the month. Continuing our Mindful Winter Warm Up, it’s important to understand the stress of lionish weeks like this are detrimental to mind and body. Stress, whether from a positive or negative source, alters the brain and can impair everyday functioning and decrease quality of life. Chronic stress in particular can be mind eroding. Think of a person with post-traumatic stress disorder or a lone caregiver of a person with a chronic condition. Left unchecked without strategic stress reducers, the stress buildup and effect on one’s mind can be devastating. A recent study demonstrated this impact. Mice exposed to repeated and prolonged stress had difficulties with spatial memory, brain cell creation and depressive mood symptoms. The study discovered a relationship between short term memory and prolonged stress evidenced by inflammatory changes in the brain from an immune system response. This is important since historically the brain has been considered an immune-privileged organ. This brain-body communication was significant because it showed the stress induced inflammation was responsible for the spatial memory difficulties. Treating the inflammation improved the memory issues, which is great news. Unfortunately, the depressive symptoms as well as the brain’s ability to create new brain cells were not improved with treating the inflammation. What does all of this mean? It provides new insight to treat memory problems associated with chronic stress by decreasing the immune system’s inflammatory response. This is welcome news for those suffering from chronic exposure to stress. However, it also highlights the underlying influence of stress on the brain’s plasticity (ability to make and adapt brain cells). 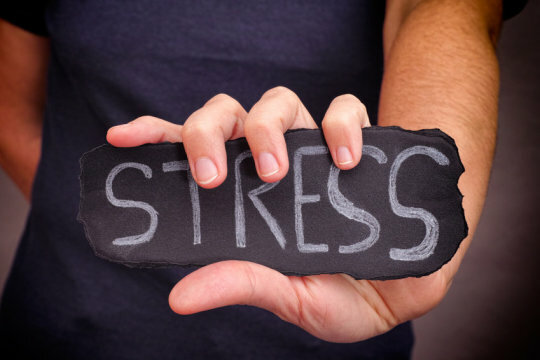 This damage will only improve with better management of the underlying chronic stress. However the stress of March’s madness manifests in your life, use effective stress management tools to keep your stress in balance. 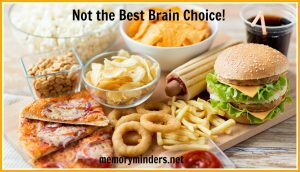 Ironically, (or not, in my opinion) some of the best stress relieving techniques are also brain wellness strategies, which are at the core of MemoryMinders programming. We all have some form of stress in our lives. 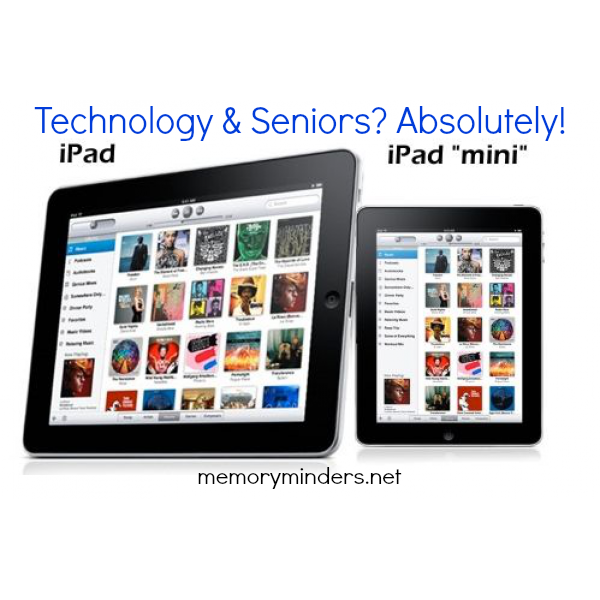 Managing and minimizing this will lead to a healthy mind and memory. If we do this, we’ll improve our memory, quality of life and maybe the this month’s madness will march out quietly like a lamb.